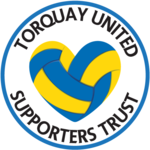 It is not often that Torquay are involved in a top of the table clash, particularly at this stage of the season with the last coming against Aldershot towards the end of our first season in the BSP! This sees a clash of two teams bang in form and although Swindon have lost two of their last four matches, their prior defeat was against us on Boxing Day! In fact, their home form is even better with just two draws back in October and the solitary defeat to Oxford at the beginning of the season! Di Canio has spent big this season and has options that we can only dream of but sometimes a settled squad can be more of an advantage. Impossible to guess what the "mad Italian" will come up with next but his latest assessment of his players was "Today they behaved as stupid and silly lads." I am sure he will have them up for this one but with their cup final the following weekend it could impact on the players if not already for their previous match. Also, after having the title seemingly "in the bag," defeat for them will see their lead cut to one point and it will be game on with all the pressure that will bring! Hopefully we can name an unchanged side although Lathrope went off injured again and his absence would be a loss on the defensive side with all those attacking options that Di Canio has! However, it has been a good month so far and in some respects it has taken the pressure off this one for us but a win here would really put the cat amongst the pigeons and the sky would then be the limit! Whatever managers may try to say about taking one game at a time psychologically the Swindon players will be thinking ahead to their White Emulsion Paint Pot Final at Wembley the following weekend. None of them will want to get injured and miss it. A great time to play them. Swindon on the back of a convincing defeat and with their minds elsewhere and us on the back of a resounding away win, and it does seem that when we go away we win! The only thing our players will have on their minds is beating Swindon on our charge towards the league championship! i aint half looking forward to this one,we go in to this game with absolutely no fear attached to it at all,swindon have lost to us once already and got a beating on saturday and have a wembley final too,plenty for them too think about as we descend on their ground on tuesday. We arrive in good heart,good form and on the back of a 4 goal spanking of burton,we appear to fear nobody. Dont get me wrong it wont be easy and no shame if we lose,but our attitude is spot on at present,i fancy this could end all square,which would be an excellent result for us,i just hope and pray we dont get a ref who is a complete homer and destroys the game. Looking forward to this one. Listening to Di Canio's interview on line yesterday, he seems to speak in long rambling sentences, didn't fully grasp it, but he seems to be saying he has been big headed and brought back down to earth by crewe defeat! He will be demanding a reaction from his side, so important we hold firm early on, get a foothold and look to counter. It will be entertaining, not least watching Di canio's behavior on the touchline! His performance at plainmoor on boxing day was priceless!! I have the feeling we will get something from this one. Going to this one, the Club go there with no fear. Indeed so loyalgull, a short trip up the M4, I hope we take a good following and the ridiculous prices of tickets don't put too many people off. Shame if Lathrope doesnt make this one but would be wise to give him time to recover for the run in if it means we have have him fit for those matches. No fear and no pressure only what the players put on themselves and I'm pretty sure they will want to give a good account of themselves and keep the pressure on and run going. This one could produce any sort of result and is difficult to predict. I have never seen such a contrast in style and management techniques. Two totally different approaches, one throwing the financial kitchen sink at it and us acheiving virtually the same on peanuts! Should be interesting and Paulo "Mussolini "DiCanio and the home fans "will expect" which could work in our favour. The last two games Lathrope missed were Bradford and Gillingham if I remember correctly? We all know what happened there don't we! He has to play even if he isn't 100% fit...he can have a rest when the seasons finished! I'd have to say, that's pretty offensive. It's much the same as calling a German Hitler. Anyway, it is indeed an interesting game with numerous psychological factors which have already been mentioned. I think we'd struggle without Lathrope (as I witnessed at Gillingham) unless the skipper was willing to fill in for him. Energy and determination are qualities they both have bags of and are needed to protect our back four in this system. Certainly we don't want to change formation and I'd say Swindon would do well to change theirs in order to suppress us but I doubt they will. Mr Di Canio's a pretty headstrong guy to say the least... and he's got plenty of reason to be so in my opinion. Anyway, whoever thought we'd be in this situation come March? Good times. Comedy gold Milber! ;D Di Canio is right in that it would be difficult to find another manager like him! The blokes an egocentric knob. Not really, DiCanio has pretty much admitted that he is a fascist and caused a furore at Lazio after presenting the "Roman Salute". I have read newspaper articles where he has praised Mussolini as "basically a very principled, ethical individual" who was "deeply misunderstood".